New Yorkers will soon have the chance to try out the bike share service for free on this free Citi Bike ride day. Have you tried out Citi Bike yet? New Yorkers will get the chance to ride a Citi Bike for free on Oct. 13. 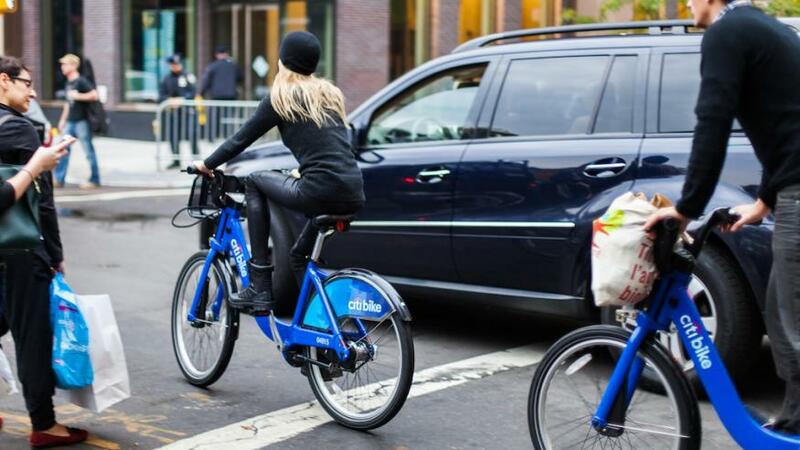 New York City Department of Transportation, Citi Bike and Healthfirst, New York’s largest nonprofit health insurer, announced the free ride day on Wednesday as a way to increase city residents’ access to bike share services. Citi Bike services will be free on Saturday, Oct. 13, in celebration of a recent Healthfirst sponsorship that provides reduced fare bike share access for low-income New Yorkers. That sponsorship, announced in July, makes NYC SNAP recipients eligible for a $5 monthly Citi Bike membership — a low-cost program that was previously only available to NYCHA residents. That move made Citi Bike more accessible to 1.6 million New Yorkers. Now, officials are hoping the free ride day will help even more New Yorkers connect with bike-share services. To take advantage of the free Citi Bike ride day on October 13, visit citibikenyc.com/freerideday or the Citi Bike app, where free day passes will be available. The passes provide New Yorkers with unlimited free rides up to 30 minutes each throughout Saturday, Oct. 13. So far in 2018, Citi Bike riders have pedaled more than 24.6 million miles thanks to the bike-share service. If you are eligible for the reduced Citi Bike membership, you can apply for Reduced Fare Bike Share by visiting citibikenyc.com/reducedfare and entering your EBT card number or NYCHA tenant ID. This reduced membership doesn’t require an annual commitment, instead costing $5 per month. If you’re not eligible for a reduced Citi Bike membership, the bike share service will cost you $169 for a one-year membership, which provides 365 days of unlimited, 45-minute rides. Single rides and day passes are available for $3 and $12 respectively through the Citi Bike app if you want to take a spin outside of the upcoming free ride day.